KHALILAH HARRIS: I’m Khalilah Harris for The Real News Network at tonight’s Baltimore City Council hearing, where Councilman Zeke Cohen is presenting a resolution for the BMORE Invested Fund, supporting young people in Baltimore having access to jobs year-round through the Mayor’s Office of Employment Development Youth Works program. Just months ago, DaVonte Friedman, a youth advocate with Community Law in Action, was lobbying Baltimore City Council to get support for safer Baltimore streets. His life was taken on December 1 during a shootout in the Barclay neighborhood. ERICA RICHARDSON: The #bmoreinvested campaign is pushing to get year-long Youth Works jobs. Therefore, we want to give the youth an opportunity to do better for themselves and also find a career more aligned to their trade. KHALILAH HARRIS: You lost a friend, DaVonte Friedman. How does his loss propel you to want to make sure this resolution not only can be introduced, but enacted? ERICA RICHARDSON: It motivates me to also get more youth jobs to do things that gets them off the streets and not in those situations. And also when we give them a chance to do something, those situations wouldn’t happen as often as they do. 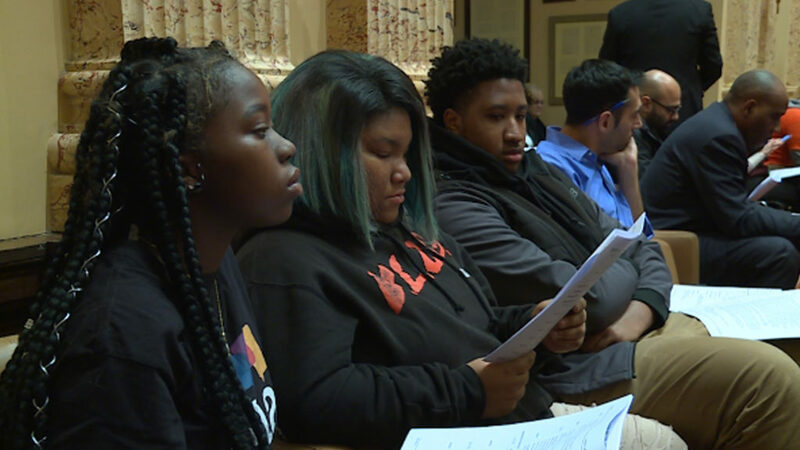 KHALILAH HARRIS: Tonight, Baltimore City Councilman Zeke Cohen, supported by 11 other councilmembers, presented a resolution during the City Council meeting to support the BMORE Invested campaign, a youth-led effort to expand Youth Works to reduce violence in Baltimore. ZEKE COHEN: The data is clear. When young people have a job, when they are learning and growing and have a source of income, they stay out of harm’s way. KHALILAH HARRIS: Many who knew DaVonte acknowledged he was working towards improving himself. ZEKE COHEN: And what is so devastating about tonight and this moment that we’re in is that one of the young people who came and talked to me about this a year ago was actually murdered this weekend. He was an incredible young man; had just a beautiful sense of humor, very intelligent, was headed to college next year. And he was killed in a triple shooting this weekend. KHALILAH HARRIS: One of his former teachers, Ebony McKeever, shared this: “The thing about DaVonte is that he always wanted to do the right thing, and he always wanted to be better. One of the things that I will always remember about the DaVonte was his desire to be productive.”. I asked Ms. McKeever what the BMORE Invested Fund could mean for young people like her former student. Here’s what she offered. ZEKE COHEN: I think in a crisis we need to expand both our political imagination and our moral courage. If we continue to do things the way we’ve always done them, we’re going to continue to get the same outcomes. And so this is a call out and a call in to all of our partners in the business community, in the nonprofit sector, in government. We all need to be focused on this issue. We need to make sure this is a priority. And I would simply say that, you know, this is a multibillion dollar government. The idea that we can’t find what these people are asking for, which is a $2 million pilot program so that 300 young people could work year-round, to me that is insulting. And so we are going to be pushing extremely hard. We have to rally together. We have to engage our partners across sectors. But now is the time to do it. There should not be one more DaVonte, not one more Diamante or Sebastian. We can’t keep doing the same thing over and over again. We need to act now. 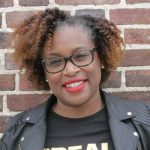 KHALILAH HARRIS: What do you want to say to people who are of voting age about what they need to do to make sure this resolution becomes policy? ERICA RICHARDSON: Honestly, keep voting. Because we can’t vote yet because we’re underage, but you guys speak for us. So we need your help to ‘BMORE Invested,’ basically. KHALILAH HARRIS: This is Khalilah Harris for The Real News Network. We’ll continue to bring you stories about opportunities for youth, and strategies for making Baltimore streets and Baltimore communities safer places to live. We rely on support from viewers like you. Consider making a donation to www.TheRealNews.com/donate.